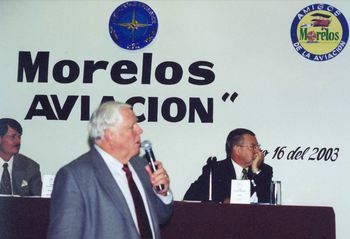 Jack McCormick, Call sign "Baja 1" speaking at the "Amigos de la Aviation" meetings in Mexico City. 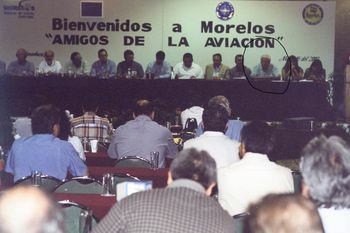 Speakers included the Director of the DGAC, FAA, and the Baja Bush Pilots. In this meeting Jack McCormick introduces a program called "Multi Entry" permitting of GA aircraft. 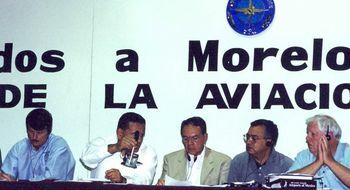 The program includes changing the “single entry permit” with a “Multi Entry Permit” so that foreign aircraft can cross into mexico multiple times without paying the permit each time. 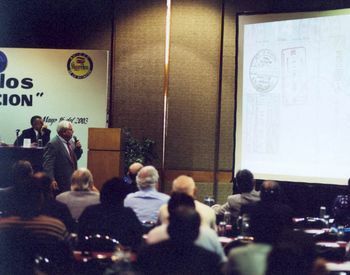 Other issues on the agenda were standardizing pricing general aviation aircraft operating in Mexico. Results: The "Multi Entry" process was approved and not considered standard practice. Jack McCormick on the microphone. The United States Department of Homeland Security created a requirment that all general avaition flights into the United States are required to complete a EAPIS. Electronic Advanced Passenger Information System. 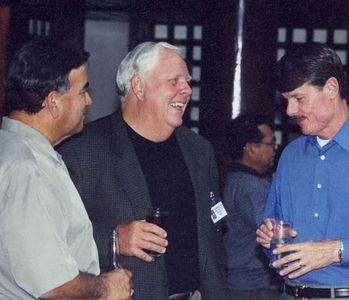 The Baja Bush Pilots have provided a custom simplfied EAPIS portal that links directly to the U.S. DHS system to keep General Avation simple for members of the Baja Bush Pilots.